Adobe (Nasdaq:ADBE) unveiled Adobe Experience Cloud, a comprehensive set of cloud services designed to give enterprises everything they need to deliver exceptional customer experiences. Comprised of Adobe Marketing Cloud, Adobe Advertising Cloud and Adobe Analytics Cloud, Experience Cloud is built on the Adobe Cloud Platform, leveraging Adobe Sensei’s machine learning and artificial intelligence capabilities. And because it’s from Adobe, Experience Cloud integrates with Adobe Creative Cloud and Document Cloud. Digital has disrupted every industry. Massive amounts of data, the proliferation of devices and sky rocketing customer expectations are forcing enterprises to rethink their customer experience: Be personal. Be consistent. Be elegant. Be everywhere. Companies that meet these requirements will forge stronger connections with their customers, resulting in brand loyalty and growth. Forward-looking enterprises already know that a great customer experience is the differentiator that separates market leaders from market laggards. An exceptional experience is the most important step in a long-term relationship with a customer and requires deep intelligence and amazing design. 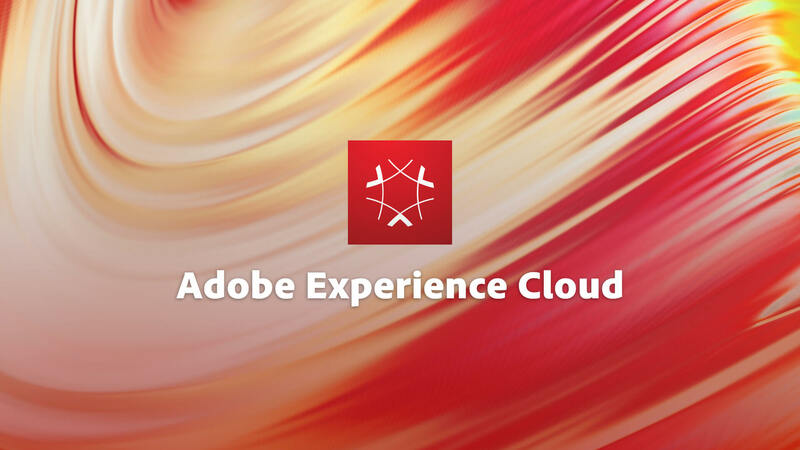 Adobe Experience Cloud combines world-class solutions, a complete, extensible platform, comprehensive data and content systems, a robust partner ecosystem, and unparalleled experience delivery expertise. Adobe Marketing Cloud offers an integrated set of world-class solutions that empower marketers to craft experiences that differentiate their brands, connect with customers and proactively engage them. Adobe Marketing Cloud includes Adobe Experience Manager, Adobe Target, Adobe Campaign, Adobe Social and Adobe Primetime, and helps brands accomplish the following at scale: manage, personalize, optimize and orchestrate campaigns and customer journeys. Adobe Advertising Cloud is the industry’s first end-to-end platform for managing advertising across traditional TV and digital formats. Combining capabilities from Adobe Media Optimizer and recently acquired TubeMogul, Adobe Advertising Cloud simplifies the delivery of video, display and search advertising across channels and screens (see separate press release). Adobe Analytics Cloud is the customer intelligence engine that powers businesses by enabling them to move from insights to action in real-time by uniquely integrating audience data across all Adobe clouds. Adobe Analytics Cloud combines Adobe Audience Manager, the leading data and audience management platform, and Adobe Analytics, the industry leading solution for applying real-time analytics and detailed audience segmentation across all marketing channels. Built on the Adobe Cloud Platform, which provides open APIs, a standard data model, and Adobe Sensei, Adobe’s unified AI and machine learning framework (see separate press release), Adobe Analytics Cloud enables brands to better capture, aggregate, rationalize and understand vast amounts of their own disparate data and then translate that data into singular profiles of their customers. Adobe’s Creative Cloud is the one-stop shop for a company’s creative needs and Adobe Document Cloud provides the most comprehensive tools for digitizing document workflows. These enterprise offerings are integrated with Adobe Experience Cloud through the Adobe Cloud Platform, Adobe’s engine for cross-cloud integration. Together, these integrated offerings provide brands with everything they need to design and deliver standout experiences. Today’s largest brands, including Coca-Cola, Condé Nast, Hyatt Hotels, Grainger, Major League Baseball, Mastercard, Royal Bank of Scotland and the NBA are cross-cloud customers. Every great experience starts with great design. The undisputed leader in creativity, Creative Cloud now connects with Adobe Experience Cloud to streamline and accelerate creative workflows. Marketers can now easily pull in content from Creative Cloud Libraries and edit images in Adobe Campaign to create and deliver personalized emails. In addition, Adobe Experience Manager’s digital asset management system now automatically synchronizes content based on shared metadata across Clouds to ensure that only the latest version of campaign assets are used. Adobe Analytics and the Adobe Social Publishing Panel are also now available in Premiere Pro CC, enabling creative teams to publish video content across social media channels and receive real-time insights. Adobe is also powering paperless customer experiences with enhanced integration between Adobe Experience Cloud and Document Cloud. Working together, Adobe Sign and Adobe Experience Manager Forms eliminate the cost and frustration of manual, paper-based processes for enrollment, onboarding and service across the customer journey, helping organizations to go completely digital with anything from credit card applications to government benefit forms or medical forms.